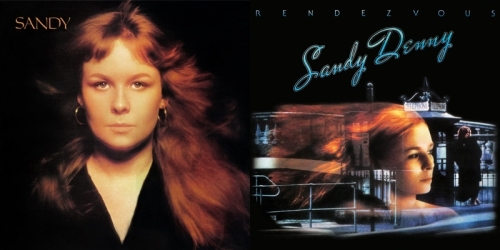 Though many critics have already pointed out, like in this review, the troubles of Rendezvous, it amazes me how seldom anybody points out the strong emotional impact of this album, even when not considering it was her last. Candle in the Wind schmaltzy and so on? Get behind the admittedly heavily yet strongly orchestrated renditions of some very good songs and the piercingly beautiful though slightly broken voice of Sandy gets me down on my knees. And think what those reviews, copying eachother in their punkish damnition of the strings and other embellishments have done to this searching and daring artist… Sure, I see how the record Sandy towers above almost everything… still this one is filling my cup with tears.